Australian-born but Parisian at heart, Alison helps establish high-performing People practices in some of France's most promising tech startups. Today she's helping security startup Sqreen scale across Paris and San Francisco. With 11 years’ professional experience she's still trying to work out a coherent narrative for her somewhat chaotic CV. A graduate of HEC and Polytechnique, Hajar co-founded ONORIENT in 2013. Through her professional experience at Bluenove and Essilor, Hajar has worked on innovation projects in emerging countries, particularly start-up ecosystems and cross-cutting open-innovation approaches. Through her commitment to ONORIENT, Hajar seeks to create links between innovation and the creative economy. Ben runs Startup Sesame, the global network of tech events and connectors, an innovation studio specialized in the entrepreneurial ecosystem. With more than ten years' of experience in conference organization, he has one of the most extensive and trusted networks of event founders in the world. An expert in the creative industries, Ben advises entrepreneurs and investors in early and growth stages of their projects. Julien Callede is the Co-Founder of MADE.com, which launched in the UK early 2010 and has since expanded to France, Netherlands, Germany, Belgium, Austria and Switzerland, reaching over £100M+ in annual sales and still growing fast. Julien is currently taking space from his operational role at MADE.com to focus on mentoring opportunities with other entrepreneurs, including at LSE in London and HEC in Paris. Following a career in finance of nearly a decade in New York and Paris, where he specialized in hedge funds and in risk management, Mohamed is now the CEO and Co-Founder of Storefront, the world’s leading global marketplace for short-term commercial space rental. He is currently focusing on developing the company’s strategy and overseeing Storefront’s continued expansion into new markets. Mohamed holds a J.D in Law, and a Master’s in Finance. After graduating from art school, Joel spent about 10 minutes as a starving artist before the business world found him. He began his career at St. Blues Guitar Co. There, he applied his creative skills to developing marketing plans that were instrumental in growing the global footprint for the company by expanding the product offerings to both South America and Europe. Following experience as Marketing Director for Prudential Douglas Elliman and in research and consultation for Just Kid Inc., in 2012 Joel founded Loaded for Bear, a full-service brand development firm. The firm worked with clients all over the United States in various business sectors. 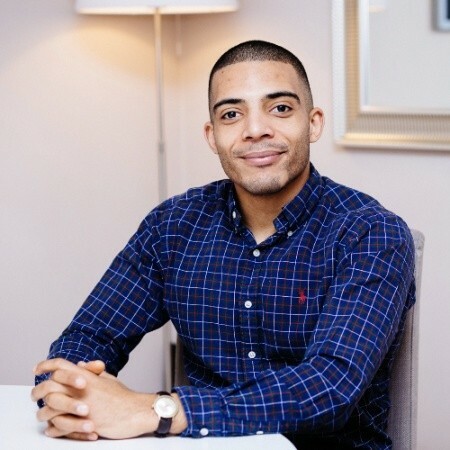 In June of 2017 Joel joined a Paris based consultancy as a partner where he focused on developing branding and messaging for European companies looking to expand to the U.S. Now he consults with companies from all over the world on branding and marketing. He is a mentor for the Global Accelerator Network, StartCo., and The Refiners. After spending five years at Merrill Lynch in London in M&A, Hélène became a serial entrepreneur and contributed to the development of several disruptive start-ups in the digital services sector. In 2000, she joined Egg, which grew to be a leading online bank in the UK (£1Bn IPO). Hélène then led the marketing launch of Poweo, a French independent energy operator. In 2011, she founded Youboox, a streaming service for books similar to Spotify. Hélène graduated from HEC Business School in Paris and ENSAE (master in statistics and economics, Paris). At 22, while still a student at EM Lyon, Sylvain Tillon launched Lucyf'Hair, his first company. Six years later, he left and created Sydo, still in existence today (14 employees). He founded Tilkee in 2014, initially in parallel with his work at Sydo. Since then, he has successfully raised two rounds of funding (500,000 euros in seed money and 3.5 million euros in April 2018). The company now has 28 employees and will continue its international expansion into the UK and Germany. Sylvain is also the co-author of three books: Je veux mieux vendre, 100 conseils pour planter sa boite, and Acceptez-vous de prendre pour associé. 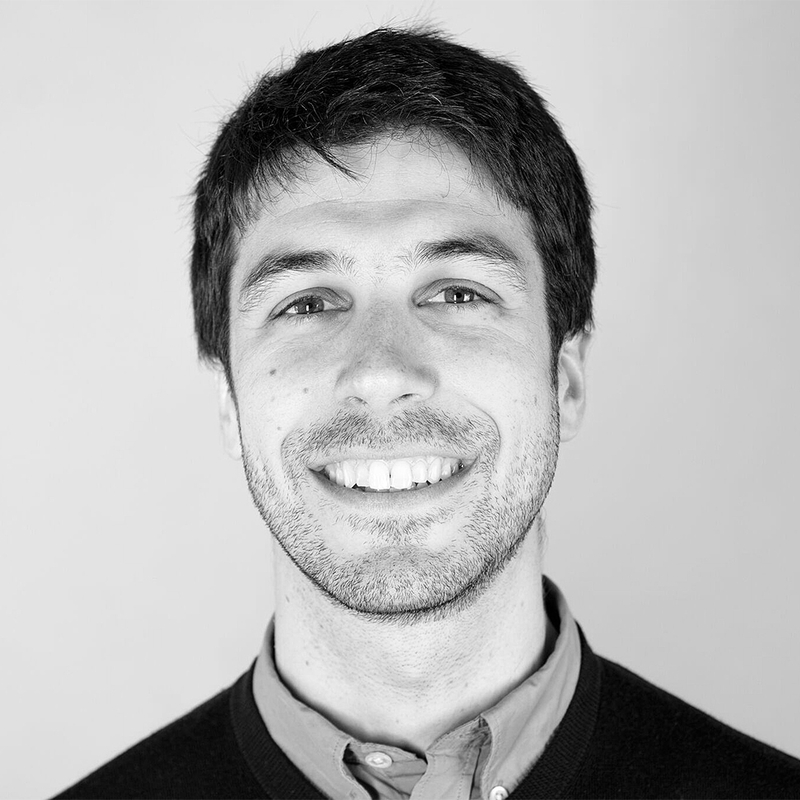 Santiago is the founder and CEO of the ChangeNOW Summit, the international summit to boost world-changing solutions. In 2017, for its first edition, ChangeNOW gathered 2000 change-makers, investors, and media from 47 countries. Santiago started his career in banking, then worked for several years for tech startups and events in Paris. He is also the founder of TEDxINSEAD, as well as the co-founder of Startup Career Day, France's biggest job fair dedicated to startups. Santiago graduated from an MBA at INSEAD in 2015. After more than 15 years of marketing in the tech world, Sharon chose five years ago to devote her professional life to education by creating a project focused on science: Scientibox, a monthly subscription-based product. Then three years ago, she pivoted to create "Startup For Kids" and "Demain Commence Aujourd'hui", events that aim to prepare young people from 6 to 20 years old for the world of tomorrow, through workshops, conferences, hackathons, and more. A graduate of HEC Paris Business School and former strategy consultant, Anne-Charlotte Vuccino discovered yoga at age 20, following a serious accident that left her disabled. She recovered through yoga and, in 2015, left her career to become a teacher. She created Yogist- Well at Work, the first "corporate yoga" startup" and her new method to combat stress and tension at work. Anne-Charlotte and her team work in France, Brazil, London and Singapour to help companies take care of their employees. To help spread the message of yoga, Yogist published a book that details the method (Comme un Yogist, which has sold over 15,000 copies), an e-learning program, and most recently a chatbot, which offers simple exercises to consistently improve employee wellness (bot.yogist.fr). Weerada Sucharitkul is the cofounder of FilmDoo. Having lived in eleven countries across five continents, Weerada launched FilmDoo to reflect the three things she’s most passionate about: films, travelling and entrepreneurship. She has years of experience in digital strategy and innovation. Weerada has spoken extensively on digital distribution at international film festivals including Cannes, Edinburgh and Thessaloniki. She previously studied at Judge Business School, University of Cambridge. FilmDoo is a global media company helping people to discover and watch great films from around the world, through both their own platform and their aggregate programme supplying films to third-party platforms and telcos. FilmDoo is also launching an exciting new online edutainment platform to help people learn languages and explore cultures through film, building on their large and rapidly growing film library of over 2,500 films from around the world. FilmDoo was recently successful in the French government's BPIFrance Concours d'Innovation funding programme to further develop their language learning platform, and are now looking for matched funding from private angels to kick off this next stage of the business. Laurin Hainy is the German born, CEO of the Paris based startup Predictus. He has a long background in entrepreneurship, and most recently headed up the startup studio and VC firm Le Studio. His background is in corporate finance (Sciences Po Paris) and international law (HHS, The Hague). Throughout his studies at ESSEC and UC Berkeley, Vincent specialized in business management, sales, and digital marketing. He co-founded Tempow in January 2016, with the objective of bringing new audio experiences to everyone through improvements to Bluetooth. Within a few months, Tempow developed a software solution enabling users to simultaneously connect their phones to several Bluetooth speakers or headsets. Now living between Paris, San Francisco and Asia, Vincent is offering Tempow products and solutions to the largest hardware manufacturers in the world. Elsa Hermal is a passionate entrepreneur and is very active in the French startup ecosystem. She worked for large corporates before deciding to pair her passion for food with her entrepreneurial drive, creating Epicery. The app offers a simple and convenient solution for busy people to fill their refrigerators with quality food, and also allows small business owners to develop their activity online. She brought in investors and partners for Epicery, including Michaël Benabou and Jacques-Antoine Grandjon (Vente-privée.com), Jean-David Blanc (Allociné, Molotov.tv), Marc Ménasé (Nextedia, Menlook), Edouardo Ronzano (Kelodoc) and Kima Ventures, who have supported Epicery since its launch in 2016. Elsa was named one of StartHer's 10 Women to Watch in 2018, and one of Forbes 30 Under 30 in France. Fabrice des Mazery has been creating digital products for the last 16 years. After having created three startups and sold two of them, he worked as Head of Product and Growth at Deezer, the French Spotify. He's now Chief Product Officer at Thiga, and gives training and advice on product leadership, engagement and gamification design. He's an ardent advocate of what he calls "digital responsibility" : the responsibility of creating products respecting the digital environment of the user. Bruno Margueritat is a Certified Scrum Trainer and Agile Coach based in Paris. Over his 18 years of experience in software development, he has worked in various roles, including Agile coach, ScrumMaster, Trainer, Software Developer, Technical leader, R&D manager and Project Manager. For the past nine years, Bruno has worked with a major French telecommunications company, helping teams and individuals on their journey to Agility. He is focused on creating high-performing, self-organizing teams who enjoy working together. He also uses his technical background to coach the teams to improve their developer skills. As a frequent speaker at Agile conferences, Bruno also contributes actively to the Agile community. CEO de Tynkle, Alain Maisonneuve est originaire de Marseille, diplômé d'un master en management passionné de cinéma. Alain est en charge de la partie business développement de l'application Tynkle, du web marketing et de la communication. Il intègre STATION F avec son ami et associé Sabri en janvier 2018 pour développer Tynkle. Sabri Said est le CTO de Tynkle, originaire de Marseille, diplômé d'un RNCP développeur informatique, passionné de nouvelles technologies. Sabri est en charge de la partie technique du développement de l'application Tynkle et de la création de contenus visuels. Il intègre Station F également en janvier 2018 en même temps qu'Alain. Mohammad Asim Maqbool, originaire du Pakistan, arrive en France à l’âge de 6 mois. Très tôt, il a nourri l’ambition de dépasser les préjugés et de montrer qu’il est possible de réussir sans avoir toutes les cartes en main. Après avoir eu un Master 2 Propriété Intellectuelle, Mohammad a travaillé 3 ans en tant que chargé de valorisation/ juriste. De jours en jours, sa soif d’aventures et de challenges était toujours plus vivace. C’est pourquoi, il s’est tourné vers l’entrepreneuriat afin de concrétiser ses ambitions. Grâce à la rencontre avec Alexis, l’aventure StreetyFood démarre! Alexis Fartek est un jeune entrepreneur du Val d'Oise qui a lancé sa startup StreetyFood avec Mohammad après ses études de droit (propriété intellectuelle). Très tôt, il a sillonné la France avec ses parents qui lui ont fait découvrir les cultures culinaires locales et l'ont sensibilisé à la consommation responsable. De nature curieuse, musicien, voyageur, il noue des contacts pour constituer un réseau d'artisans restaurateurs dans toute la France. Maeva Botrel is the co-founder of Sextechlab, a non-governmental association that aims to create a positive legal, political, and ethical environment for all stakeholders in sextech. They base their actions on caring and compassion, and are focused on tearing down barriers and opening minds to all the opportunities this topic brings. François's early career included working at the French Ministry of Finance and in corporate functions at Casino, a leading French listed food retailer. He joined the VC world in 1999 and invested in CDiscount, Allociné, Direct Energie and Xilam Animation, among others. In 2008 along with Patrick Malka, he launched Newfund, an early-stage venture capital firm headquartered in Paris with offices in California. They invest mostly in France and the United States. François is based in Paris and visits the US regularly. Arthur Nobel is the co-founder of Flexpat, a Dutch-based startup that helps freelancers, entrepreneurs, and creatives travel the world without compromising their careers. Arthur has previously worked as a startup advisor and investment analyst at several VCs, as well as a venture developer for Rocket Internet in Singapore. After he honed his skills in sales and strategy, he left his desk job to pursue his passion for traveling, and to make a living out of it. Arthur is convinced that the future of work is remote, and with Flexpat, he aims to empower more digital professionals to experience the location-independent lifestyle through remote work programs around the world. Matthieu is an Entrepreneur in Residence at L'Atelier BNP Paribas, where he acts as an advisor for startups and corporates in Europe going through the BOOST acceleration programs. Prior to joining L'Atelier BNP Paribas, he was the co-founder & CEO of two tech companies, where he took on responsibilities in marketing, sales and fundraising. He is also the co-founder and non-executive member of inFocus, a communication agency that works with social businesses worldwide. Matthieu holds an MSc from HEC Paris and Texas A&M University. "Despite better ideas, better talent, and better execution, European entrepreneurs will never win against their Silicon Valley competitors." That was Svens disenchanted conclusion after working for several years as an international marketing consultant. In that role, he was able to compare the staggering differences in early traction between his American and European startup clients. As a German national, Sven got frustrated by the ways in which the scattered EU market creates nearly insurmountable disadvantages for entrepreneurs. Neuland enable startups to become international leaders in their respective fields – no matter where they start from or want to expand to. Adrien is a 32-year-old father of two young boys and the founder of uTip. In 2011, he put aside a promising career in trading to launch his first startup, Tousdonateurs, which was his first experience with the world of digital advertising. This adventure came to an end after a few months, and he went back to work in banking and strategy consulting. In 2016, the birth of his first child was a wake-up call: he quit his consulting career to make the most of the first months of his family, and to learn to code. During that time he had the idea to create uTip, and started developing a Proof of Concept. Convinced by the early metrics and the overall enthusiasm generated by the project, he put together a team and created uTip in early 2017. Tim is the Co-founder of HelloZack, a startup that simplifies selling your old Apple devices. He founded the company during his Master’s program in entrepreneurship at UC Berkeley. HelloZack raised a seed round in January 2017 and now employ seven people in Paris. The idea for the company originated to when, at age 13, Tim helped his family and friends sell items on Ebay. Tim places a great deal of importance on work/life balance and athletics, which is why on occasion, you might be able to see him officiating top tennis players at the US Open, Roland Garros, or the Australian Open. He graduated from École Polytechnique and Supaero in France, and studied a semester at UC Berkeley in California, all while rising up the ranks of tennis officiating to become a bronze badge international umpire. A specialist in logistics and strategy, Thomas has spent the bulk of his career with the French insurance company MAIF. Most recently, he has helped build and run a small team at MAIF, which works with startups to integrate new technologies and emerging practices into the company's functionalities. Thomas's team focuses on the transformation of core business through developing the sharing economy and emerging practices. They build strong collaborations with startups and other actors throughout the ecosystem, adding new services for MAIF customers, contributing to a more collaborative society. Thomas is a graduate of the French engineering school ENSAE Paristech, and is also trained as an actuary. 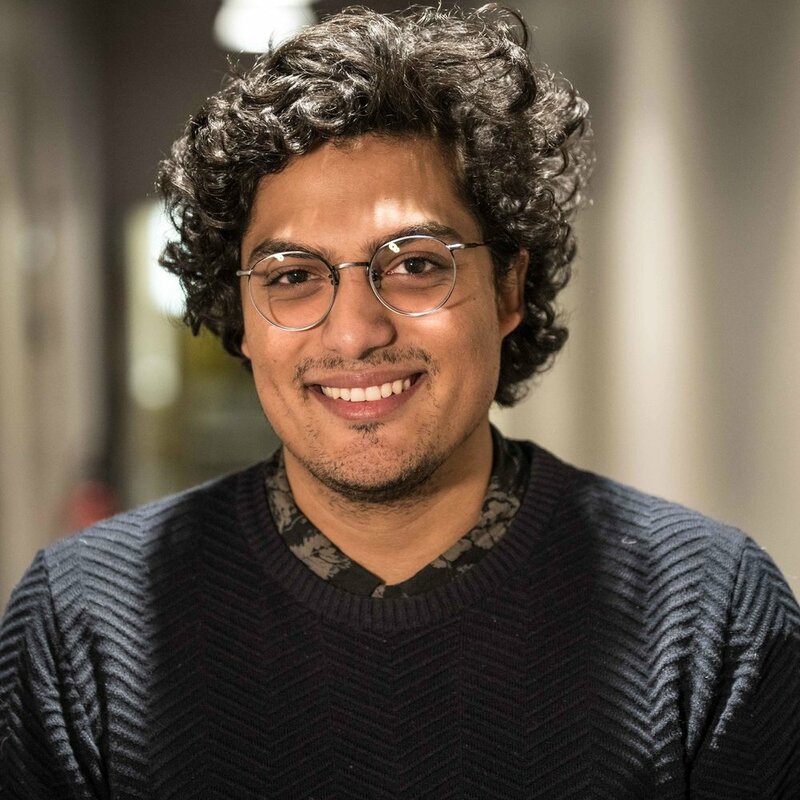 During his time at university, he gained valuable entrepreneurship experience working for Swouitch, a startup that facilitated object exchange through a mobile app. He then worked at the investment bank Natixis, both in Paris and in New York. During his two years at Natixis, Thomas advised pension funds on their investment strategy. It was through this work that he discovered the asset management industry. While he was at Natixis, Thomas created the startup Mon Petit Placement, which aims to democratize private banking for the 25-40-somethings. He left Natixis in August 2017, and has been working full time on Mon Petit Placement ever since; it will go live May 2018. Kurt Muehmel is Vice President for the EMEA region at Dataiku, the developer of Dataiku DSS, a collaborative platform for analytics and data science within the enterprise. As one of the early employees of Dataiku, Kurt led Dataiku's international expansion, including into the US market in 2015 and 2016. Kurt is now responsible for building Dataiku's team and business throughout Europe, the Middle East, and Africa. Kurt has seen Dataiku grow from 20 to 120 employees, and is now getting ready for 200 and beyond. Prior to Dataiku, Kurt worked as a Big Four strategy consultant, a consultant to the United Nations, and a professional treasure hunt creator. Kurt was born and raised in Michigan, and moved to France following his graduation from the University of Michigan in 2006. Kurt now lives just outside of Paris with his spouse and two children. A graduate of Sciences Po and HEC Paris, Florian began his career at a crowd equity platform incubated by ENGIE. This passage through digital and inclusive finance pushed him to co-develop new methods of evaluating companies, including startups, serving investors. In parallel, Florian taught a module on "Social finance" at Sciences Po, as well as a module on economics and risk management at the International School of Information Processing Sciences (EISTI) and ESSCA. Multi-committed, Florian is Vice President of the Young Financial Executive's Club, member of the Advisory Board of Orange Business Services, Vice President of the Franco-British Connections, and member of the committee of the editorial board of Preventive Risk management. He publishes regularly in both national and specialized media. Trained and certified by Pragmacoach and Mozaik International, she is a Master NLP coach. She was trained in Speech and Drama at the Conservatoire d’Art Dramatique de Lyon. A graduate of SKEMA business school Sophia Antipolis, Marion has over twenty years of experience in the Education Management field. Her clients today range from Start-up founders, TEDx Speakers to top executives from luxury companies, such as EDF, Orange, Imerys, Mylan, Sanofi, Engie, Sodexo and the French Overseas Development Agency. She teaches at HEC Paris Executive. What if conversations are the primary means by which two or more people get work accomplished? What would be the minimum viable set of conversations that would allow people to come together and define a mutually desired future, plot a pathway to realizing their aims, anticipate breakdowns, build relationships of mutual trust and respect, produce quality results, and foster learning? Those are questions that Ken has been exploring for the better part of 20 years. Trained as an Integral Coach, with a background that includes a decade on the core team that developed the World Café dialogue process, Ken works at the intersection of individual, team, and organizational learning to open up new vistas of thinking while finding practical steps for effective action. Ken’s Collaborative Conversations methodology details the stages and phases that any group will need to move through on their way to producing their desired results. Ken is the President of the Bay Area Society for Organizational Learning (SoL) and will be co-chairing the 2018 SoL North America Annual Gathering. Ethan Pierse is the Venture Partner at a new Silicon Valley fund focused on AI and deep tech. Former Managing Partner Nest Ventures. Founder of leading international investor syndicate Borderless Ventures for FrenchTech and ASEAN startups. Keynote speaker on Corporate Innovation, Industry 4.0 and Smart Cities. Author, "Chief Startup Officer, How Corporates Can Leverage Startup Innovation". Serial entrepreneur in digital and e-commerce. 20+ years digital marketing strategy with Coca-Cola, HP, BP, large banks, airlines and governments... Ethan connects and enables cross-border startup investment and business development between the US, France and Southeast Asia. Eva Peris is the former Deputy CMO of Once Dating, the #1 slow dating app in Europe that counts more than 6 million users worldwide in 9 countries. Before joining Once, Eva was the User Acquisition Manager and spokesperson for happn app. She holds Bachelor's and Master’s degrees in Private Law from the University Panthéon Assas in Paris, as well as an LLM in Entertainment Law from the University of Westminster in London. She recently joined Ironhack, the #1 ranked coding bootcamp in the world, as their VP of Marketing. Jean-François Morizur is the CEO of CAILabs. Before founding CAILabs in 2013, he was a Senior Associate at the Boston Consulting Group in their Paris office. Jean-François holds two Doctorates from the Université Pierre et Marie Curie and the Australian National University, and is a graduate of Ecole Normale Supérieure in Paris. Jean-François was selected as one of Forbes' 30 under 30 in Science & Healthcare in 2016. Damien Courbon is the Co-founder and COO of Swapcard, an event networking app that works with organizers in order to enable meaningful encounters during business events. They’re currently a team of 22 people based in France and Canada, and hiring more talent. Damien is passionate about startups, backpacking, remote work, and of course, events! Anne Ravanona is Founder & CEO of Global Invest Her, a platform and online community for early-stage women entrepreneurs that demystifies the funding process & helps them get investor-ready, to get funded faster. A dynamic and passionate women’s advocate with over 22 years experience in global business, she spoke at TEDx to inspire everyone to ‘Invest in Women Entrepreneurs'. She also advises Fortune 500 companies on Gender Diversity as a Consultant. • 100 Women in Tech whose names you need to know 2016 by Silicon Republic. Robin spent most of his career as a salesman for a variety of businesses in France and Spain, in domains from retail to IT. He is the co-founder of FreelanceRepublik, an online community that helps tech teams to hire freelancers through a highly selective process. Launched in 2015, FreelanceRepublik specializes in the fields of web and mobile development, as well as project management. The website currently has over 7500 members, including top-level companies and hundreds of the best tech experts on the market. Tamara joined WiredScore as Director in France in 2016, bringing her expertise of the French real estate industry and her knowledge in new technologies to the company. Prior to that, her passion for new technologies led her to join Front Row, a start up in San Francisco, as the Business Development Director and a member of the executive committee leading Series A fundraising activities. She began her career in the Private Equity Group at Bain & Company in New York. Tamara earned a BA in Political Science from the University of Chicago and an MBA at the Kellogg School of Management. Timothée is the co-founder of Seald, a company that aims to simplify the security of documents and emails with a nearly-transparent encryption tool. Seald works for companies who want to protect their most sensitive data, without having to force their employees to use very complicated tools. Timothée is an engineer from the École Polytechnique in France, he’s been using encryption tools since he was 12, and wants to bring these kinds of tools into the mainstream by making them ridiculously easy to use. Cassandra is the founder of Plast'if, a machine that recycles employees' plastic waste and allows them to 3D print new objects with it, creating a fully visible and complete recycling system. This illustrates that our actions have an impact and we have the opportunity to create a greener society. Cassandra launched her first startup when she was 16 years old and has organized a TEDx conference of over 200 people, international speakers, and 10 startups. 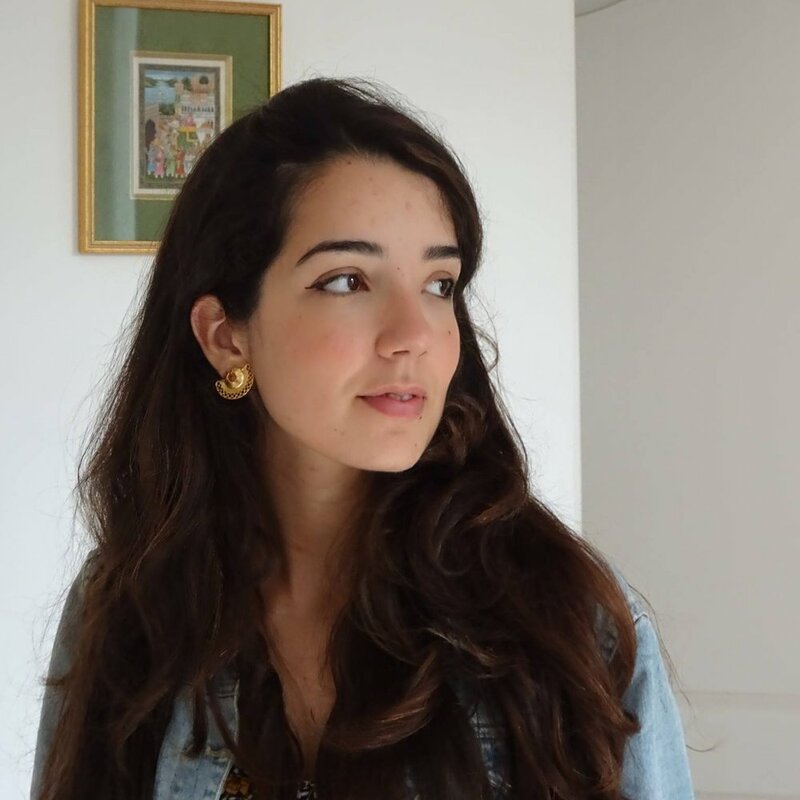 Hind Elidrissi is the Co-Founder of Wemind, a service that aims to provide freelancers and entrepreneurs with the same benefits as salaried employees, including health insurance, housing, and discounts. Prior to starting Wemind, Hind worked in a variety of roles in insurance business development. Sébastien Couture is Co-Founder and Technology Evangelist at Stratumn. Stratumn leverages blockchain technologies to provide enterprise-grade solutions that allows any organization to securely collaborate with partners, customers, and regulators. With over a decade of experience in digital strategy, he has worked with a diverse set of companies from various industries better embrace and utilize digital technologies. Having discovered Bitcoin in 2013, Sebastien is also the host of Epicenter, a leading podcast covering the blockchain ecosystem. Léonidas Vesperini is the founder of Mythic Games. A Frenchman and former gaming journalist and magazine editor, Léonidas created his super successful board and tabletop game company that now has offices in Luxembourg, the US, and Paris. Thanks to his background and broad connections with fellow game enthusiasts and craftspeople around the world, he put together a truly global team to build enormously successful Kickstarter campaigns for a couple of games so far, and there are more in store! Check out the Kickstarter for his new game, Time of Legends: Joan of Arc, launching October 10th!